India is a massive country comprised of 29 states and seven union territories. For those planning on covering a lot of ground, the quickest and easiest way to get around is to fly the longer distances. For example, it takes just two hours 40 minutes to travel from Delhi to Bangalore by air, compared to 33 hours by train. Domestic airlines connect about 80 cities. Both low-cost carriers and full-service airlines operate. Two of the best airlines are IndiGo (low-cost) and Air India (full-service). Jet Airways offers an ‘Explore India Pass’ to passengers booked to travel on Jet Airways or Jet Airways code-share flights. With this pass, passengers are provided with a single ticket and booking reference number for all local travel, with the flexibility to change the route or date at any time. Here’s how to book. Local tip: Book flights on the official website of the airline or travel booking portals such as makemytrip and yatra. Use aggregators like Skyscanner and Kayak to compare airfares and get the cheapest tickets. India has an extensive railway network that covers almost the entire country. There are several classes: SL (sleeper class, with three-tiered bunks/berths and no AC), 3AC (three-tier air-conditioned class with berths in groups of six), 2AC (two-tier air-conditioned class with berths in groups of four and curtains for privacy), and 1AC (first class air-conditioned with two or four-berth cabins along with locks on doors). Make bookings through the IRCTC website, in-person at the railway station or via a travel agency. Alternatively, reserve via travel portals such as Yatra.com and Cleartrip(for a small added service charge). For those who can’t get a seat via the usual booking routes, opt for the ‘Tatkal ticket’. Indian Railways reserve a =number of tickets and release them one day before departure, at 10 am. These can be booked online or at the train station, with the fare being the true ticket price plus an additional fee (ranging from INR 90 [$1.33] to INR 400 [$5.89]). Tatkal tickets usually sell out fast, with long queues at the station, so it is advisable to reach the station early in the morning and to carry an ID card. There are a handful of seats in the RAC (Reservation Against Cancellation) quota as well. A passenger with a RAC ticket must share a berth with another RAC-status passenger. If a passenger with a confirmed ticket doesn’t turn up or cancels their ticket, the RAC ticket-holder is allocated that seat. Several cities also have an International Tourist Bureau (ITB), which sells foreign tourist quota train seats to foreigners and non-resident Indians (NRIs). Book tickets at an ITB office by presenting a passport. Foreign nationals can also make a reservation under this quota on the official IRCTC website using an account with a verified international mobile number. Here’s how to do it. The bureau also provides assistance with travel planning and other related inquiries. Cities with ITB offices include New Delhi, Varanasi, Kolkata, Jaipur, Jodhpur, Agra-Cantt, Secunderabad, Chennai, Ahmedabad, Mumbai, and Bangalore. Local tip: Try to reserve the side berth for more personal space, or book the upper berth to avoid folding it down during the daytime (as has to be done with the middle one). To explore India by train without compromising comfort, choose a luxury tourist train. These operate from September to April. They’re outfitted with facilities such as fully stocked bars, restaurants, private lounges, lavish suites, en-suite bathrooms and much more. The fare depends on the accommodation and time of travel, and include meals, sightseeing and entry fees to cultural sites and monuments. Expect to pay between $5000 and $10,000 for two people for seven nights. Some places in India aren’t accessible via air or train, especially in mountainous areas. 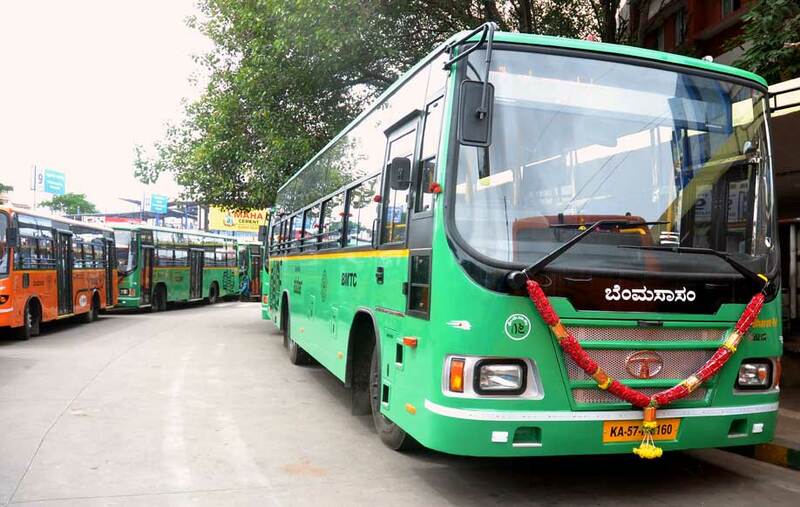 Buses are operated by both private companies and state road transport corporations. Travelers can choose between ordinary buses (with no AC) and deluxe buses (called Volvos). Government buses tend to be cheaper and are available all around the country. Sleeper Volvo buses are better for longer journeys. Semi-sleeper or simple Volvo buses are useful for shorter trips. All the buses take a snack/bathroom break along the way, adding time to the journey. Bus bookings must be made in advance either through a travel agency, at the bus station or online via RedBus or MakeMyTrip (both have downloadable apps). Local tip: Avoid taking the bus at night unless there is no other alternative, as driving conditions can be hazardous at night, considering the poor state of Indian highways. Women travelers should try to book the seat at the front. To book a sleeper cabin, choose a 2+1 sleeper (there are bunks for two people on one side and a single bunk on the other). They usually come with curtains or a sliding door. Most cities and towns have taxis. Although by law they’re all required to have fare meters installed, the meter is not always followed. Taxi scams are common, so it is advisable to research the fare and route you want to take beforehand. Hail a cab with the wave of a hand or go to a taxi stand that offers prepaid services. Taxi services are also available exclusively for women, with women drivers. Companies to check out included WomenCabs and TaxShe in Bangalore, and Viira Cabs and Priyadarshinitaxi in Mumbai. Motorcycle taxicabs also operate in Goa and are generally cheaper than normal taxis. Shared taxis and radio taxis such as Meru, Easy Cab, and Mega Cab can be also be found in major cities. Several app-based taxi companies operate in India, including Uber, Ola, and TaxiforSure. These are easy to book and fast, with decent fares. To save more money, make use of Ola’s or Uber Pool’s share service, which allows for carpooling. It’s best to check the rating of your driver before getting in. Local tip: Negotiate the price up front and ensure that it covers all passengers’ luggage. Remember that the fare usually increases at night. One of the best ways to travel shorter distances is auto-rickshaw, commonly known as an ‘auto’. These three-wheeled motorized vehicles equipped with fare meters are normally used for a short distance within cities. They operate in the same way as taxis, with auto drivers usually refusing to travel by the meter. Again, negotiate a price with the driver beforehand. To get a rough fare estimate, try taxi fare calculator. To save more money, opt for shared rides. In some cities (such as Mumbai) autos aren’t allowed in the central areas. Another form of the rickshaw is a cycle rickshaw (a tricycle with a driver peddling in front). These are available only in select cities (including Delhi, Kolkata, Jaipur, and Lucknow). They are cheaper and allow passengers to travel short distances. For a better ride experience for short distances, opt for E-rickshaws (which are emissions free). They work on electric batteries, which makes them environmentally friendly and faster. They are a better alternative to CNG/petrol or diesel-driven vehicles, which are known to cause air pollution. Local tip: Carry smaller bills to pay rickshaw fares, as drivers rarely seem to have change. In Delhi, Mumbai, Bangalore, Kolkata, Gurugram, Chennai, Jaipur and Kochi, the metro is the quickest and cheapest way of getting around. Separate cabins are reserved for ladies on some metro systems (such as Delhi), separate seats for ladies on others (such as Kolkata), and priority seats for the disabled. Every station has a display indicating the arrival of the next train, and tokens or a metro card can be bought from the station. The minimum recharge amount of the card varies from INR 100 to INR 200 (inclusive of security deposit). Local tip: Metros can be excessively crowded during rush hours (8-10am; 6-8pm), so it’s best to avoid them during these times. Each town and city in India has its own bus system. A conductor will generally shout where the bus is going. Vehicles also display a number and destination on the front. Just head to the bus station and hop on the right one, or ask around until someone can point you in the right direction. Remember to carry exact change. Local tip: Be prepared for the bus to start moving before you’ve properly set foot inside, so hang on! This mode of transport is more common in the mountainous regions and deserts, especially Himachal Pradesh, Jammu & Kashmir, Rajasthan and parts of the north-east. Shared jeeps travel on fixed routes at a fixed price. Though they are designed to accommodate six to seven people, most squeeze in at least three more. The most commonly used jeeps are Tempo Traveller and Tata Sumo. Fares are higher than bus fares.